Daytona Beach Tree Pros is a trusted and professional tree service company serving Daytona Beach, FL and the surrounding communities. Our trusted tree technicians get the job done right, and get your trees looking healthy and whole. So if you are looking for the best tree service professionals in Daytona Beach, then you are at the right place. Daytona Beach Tree Pros is the leading tree service company in this area, and we have a team of highly trained arborists at our disposal ever ready to take on any job – be it big or small – and we work to give you the satisfaction that every customer deserves. So we can handle the very large and complex projects, such as tree removal Daytona Beach for a mammoth and mature oak tree, or even a giant palm tree removal in Daytona. When you require our tree services, we guarantee skilled professionals who will visit your home or business and provide a free estimate regarding the services you need. We will analyze and advise on the best option for your requirements, making sure you get the best while working well within your budget. From the moment we arrive at your property right up to the job completion, our focus is always 100% customer satisfaction. Every home project has a fixed budget, and we respect that. We know how important your budget is to you, and that’s why we will do everything possible to ensure you get the most efficient tree solution for your home or business. What’s more, we will tailor our services specifically to your situation, as every situation is unique when it comes to tree services in Daytona Beach. For example, in a simple situation as having some brush invading your property, we will have it removed as well as giving you the solution that will have long-lasting effects, hence saving you a lot of money. So although you might spend some money for your tree project, please know that all of our work is performed with your best interest in mind, and trying to save you money over time. Why is Daytona Beach Tree Pros the recommended service in the area? The answer to that, is because we care. We care about our customers and their needs, and building long-term relationships with our clients is one of our goals. We are there for you always, whether it’s trimming or pruning your hedges and plants from season to season, or just clearing out a tree or some brush; remember that Daytona Beach Tree Pros is looking out for you and all of your tree needs. 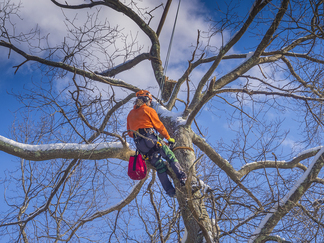 At Daytona Beach Tree Pros, we have completely insured technicians and state-of-the-art equipment to undertake any tree project that we take on. As important as it is to get a tree cleared from your driveway, it is just as important to preserve the lives of our finest technicians. Hiring a company that fully insures their skilled technicians is advisable so that the project is completed successfully. And that is exactly what Daytona Beach Tree Pros provides. Why would I want one of my trees removed? There are several reasons, one of them being that a tree becomes sick or diseased over time, and it becomes difficult to sustain it. Our skilled arborists can tell you if your tree is diseased, and advise you on its current condition as well as any methods to improve its health if possible or to avoid such problems in the future. If the tree is beyond saving, we will also help you remove the tree completely. Tree removal Daytona Beach is something we do on a daily basis, so we are the professional experts to make this happen safely, efficiently, and affordably. Trees are not hard to maintain, but it does take some occasional TLC to make sure they do not get out of control, and are always healthy and manicured. Regular trimming and pruning is an integral part of maintaining your tree’s health, and have it growing and thriving for a long time to come. Many homeowners try to go about this themselves and it can more often than not do much more harm than good. You can end up cutting the branches too short, or making haphazard cuts and seriously harm the tree. You can also end up hurting yourself without the proper cutting and pruning equipment. You are better off leaving this job to the experts, such as Daytona Beach Tree Pros. You will be glad that you did! We provide extensive tree trimming services with the proper equipment to make sure your tree is fit, fine, and looking good. Our tree technicians have the necessary knowledge and expertise to trim your trees in the way you want and keep them healthy and thriving. All you have to do is contact us, and we will be there at your home or business to take care of your tree trimming needs without any hassle. Pruning is really no different. 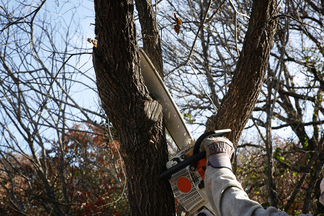 Improper pruning can be hazardous to your tree, and it is advisable to contact the experts to perform the job for you. 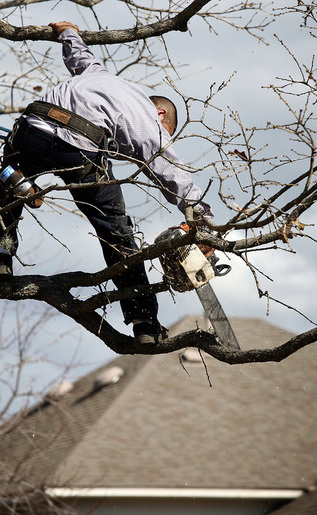 Daytona Beach Tree Pros pruning services will ensure that your trees are pruned properly on a regular basis. Maintaining the long-term relationship with our clients is always our primary focus. We care for you and your trees, and tree pruning Daytona Beach will keep your trees healthy for a long time while even significantly reducing the risk of any kind of disease and even pests. Furthermore, your tree will have that aesthetic appeal to make any setting beautiful and keep your trees and landscape looking top-notch. All this and more can be accomplished when you hire our trained pruning experts. Emergencies can arise at any point in time, and there is generally very little you can do about the situation. Daytona Beach Tree Pros is available around the clock to take care of any Daytona Beach emergency tree service need that can arise from hurricanes, storms, and high winds. Severe storms and hurricanes often leave a mess of trees and other vegetation on your front lawn or driveway, and we will come even in the early hours of morning to clean up that mess for you. Emergency services need extensive knowledge of the insurance regulations at play, and Daytona Beach Tree Pros has that too. 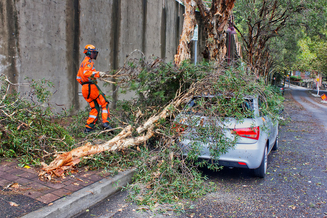 Situations like a tree falling on your home, car or business will be cleared by us without much trouble; you can breathe easy and leave the work to the experts. So you know who to call for emergency tree service Daytona Beach. 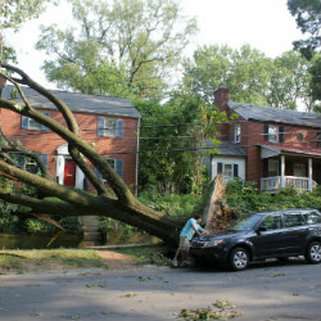 We will be there fast to fix your tree emergency! The Florida heat is unforgiving, even for trees. The intensity of the heat in Florida can leave your trees dry, infected or diseased. Tree fertilization is important to maintain the health of your trees in this climate and to ensure that your trees stay healthy for a long time to come. Daytona Beach Tree Pros also provides tree fertilization services. All you have to do is call us and we will examine your trees and advise appropriately on a long-term plan to keep your trees flourishing and growing. 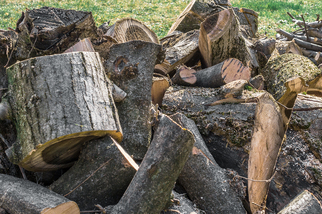 It often happens that branches, logs, brush and debris clogs your front yard or driveway, and you might be tempted to get a chainsaw from Home Depot to clear this debris yourself. You don’t have to make those efforts when Daytona Beach Tree Pros is here. Debris removal is one of our specialties, and we will do it at a price for you that will not break your budget. When we are done, you’ll be left with a clean driveway or front yard. We work efficiently and effectively, and we will make a visit to your home or business and provide you with a free estimate for any of our services or just perform a thorough examination and evaluation of the health of your trees and advise you accordingly. Daytona Beach Tree Pros covers the areas of Daytona Beach and the surrounding communities. The variety of services we provide at Daytona Beach Tree Pros sets us apart from the rest. We focus our efforts on ensuring our customers are always satisfied with whatever service we provide, however big or small the project might be. We only care about satisfying our clients’ needs in the best way possible and without hassle. Trees survive and stay fit and looking good as long as they are nourished carefully. You as a normal homeowner, might not be experts at it, but we can make you experts through the detailed and comprehensive long-term plans we provide to our customers so that their trees stay healthy and fine for years and years to come. You don’t want to end up with a wilted tree like your neighbors. Daytona Beach Tree Pros will ensure that you won’t. We provide free estimates for our services; all our services are extremely affordable for the quality we provide, so you are not left with a short-term solution when we are done. How does Daytona Beach Tree Pros exceed expectations every single time? The secret lies in our practice of investing in the latest and the most proper equipment for our technicians so they are always kept safe, and can do the work in the most efficient manner by keeping up with the latest trends in tree service. Our number one priority is to exceed expectations and be the best at what we do, and we endeavor to achieve that goal every single day! This commitment towards the satisfaction of our customers is what separates us from the herd; if you are a resident of Daytona Beach, you will get the best Daytona Beach tree service there is in all of Volusia County! All you have to do is call us today at 386-267-8220 for a free estimate for our tree services, as well as an analysis of your trees’ overall health and condition. Daytona Beach Tree Pros is there for you, day or night, for all your tree service needs.